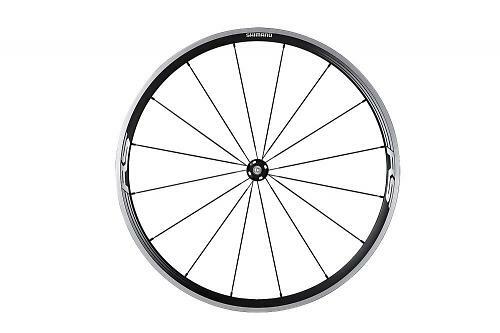 Shimano has introduced a new 30mm-deep 11-spd wheel to its lineup, the entry level WH-RS330. The rear wheel has 21 spokes, 14 on the driveside and seven on the non-driveside. Shimano claim weights of 845g (front) and 1,179g (rear). That's a total of 2,024g. The wheels are priced at £99.99 (front) and £119.99 rear). Here's a video explaining Shimano's cup and cone bearing design. Go to www.shimano.co.uk for more info.